Visit your local Publix now until July 1st and support the MUSC Shawn Jenkins Children’s Hospital. You can donate at the register and receive coupons for items such as Pedigree dog food, Kellogg’s cereal, M&M’s Chocolate Candies, Angel Soft Bath Tissue, Sparkle Paper Towel and more! 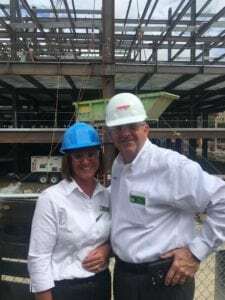 To prepare for the Publix campaign, employees gathered at the site of the new MUSC Shawn Jenkins Children’s Hospital for a tour. This allowed the associates to learn about this project and to see first hand what their fundraising dollars support. In the past 5 years, the Charleston area Publix locations have raised over $300,000 for the MUSC Children’s Fund. In 2016, they raised over $70,000. Help them reach their goal of $80,000 for the 2017 campaign. While you are shopping, be on the lookout for some of our champion families. Each store has a featured ‘champion child’ who will be visiting the locations throughout the campaign. See below a picture of Jenna Brown with her daughter, Harper. Harper was born June 17, 2015 at MUSC with spina bifida. Within 24 hours of birth she underwent surgery to close and repair her spine. Due to conditions caused by her spina bifida, Harper receives MRI’s every six months. Harper was not expected to walk but she is doing great and able to walk and run and play. She is full of spirit and she makes everyone smile that’s around her. 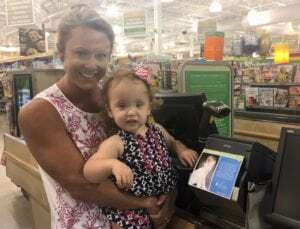 Visit your local Publix today and make a donation for kids like Harper. 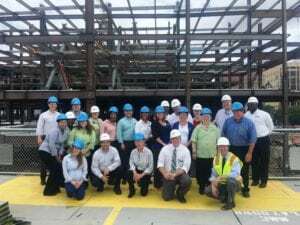 Help us build the new MUSC Shawn Jenkins Children’s Hospital.